No matter what buzzwords you throw at it—Big Data, business intelligence, data visualization, or predictive analytics—data have become a secret weapon for top performing businesses. 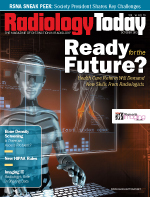 Turning data, one of your radiology practice’s greatest assets, into actionable information has never been more critical. In the past, a lack of fact-based decision making resulted in minor setbacks or failed initiatives, but in today’s world of declining reimbursement and shrinking margin, it can be the difference between a thriving practice and a failed one. So how do you get there? You can buy the biggest and best hardware to house all of these great data. You can purchase top-of-the-line software that can provide insight with just a few mouse clicks, and you can recruit and retain an expert staff to mine and analyze that mountain of data. The path to effective data mining stops at all those destinations. A thriving practice will need all three components working in harmony to achieve future success. Imagine writing the most amazing song and booking a Grammy-nominated producer but not having the singer to perform it. Would John Lennon’s classic song “Imagine” have become such an iconic hit if Justin Bieber provided the vocals? The greatest intentions can fail without proper tools and execution. Choosing to develop this expertise internally or seeking an outside trusted partner is a critical decision in this process. Many companies will make grandiose promises but fall short on delivery. When outsourcing, insist on seeing examples and calling references to reduce the risk of smoke and mirrors clouding your judgment. • Which carriers provide the most lucrative contracts? It is important to understand your current payer mix as well as the effort required to collect from those carriers. Two carriers may reimburse similarly, but one may require twice the collection effort. Monitoring a carrier’s promptness to pay, denial percentages, and the effort needed in collecting the contracted rates should give you a good comparison of which carriers are providing the best value to your organization. • How will health care reform impact my business? Understand the complexities of federal regulations and how they apply to your own practice and the overall impact. How profitable will imaging center–based procedures be compared with hospital based? Will the large shift of uninsured patients into the state Medicaid program be good or bad for your organization? • Which referring providers supply the most profitable business? Simply assessing providers by the quantity of referrals is not enough. Understanding the quality of those referrals is critical to ensuring that referred business isn’t forcing you to work twice as hard for one-half of the money. Shifts in carrier and the relative value unit mix of exams can significantly impact your practice even as procedure volume remains steady. • How effective are my collection efforts? The old-school method of simply sending out statements and hoping for a check in the mail is no longer sufficient. In today’s high-tech world of gadgets and applications, it is crucial to interact with your patients via phone, text, or the Web to maximize your revenue. Accessing this wealth of data at any place and any time has moved from being a perk to a requirement. Having access to your information when a moment of inspiration strikes is vital. Whether it is that rare moment of contemplation at your desktop or a moment of silence during your chaotic workday, when you have a minute to check your mobile device, your business intelligence system should be on your schedule and not vice versa. Having critical information at your fingertips is not only possible but essential to thrive in tomorrow’s health care reality. Embrace the challenges of tomorrow and remember that technology and innovation are your allies, not enemies. Work smarter, not harder. — Jeff Maze is director of business intelligence for Zotec Partners, which deals in medical billing and practice management services for the hospital-based specialty market.